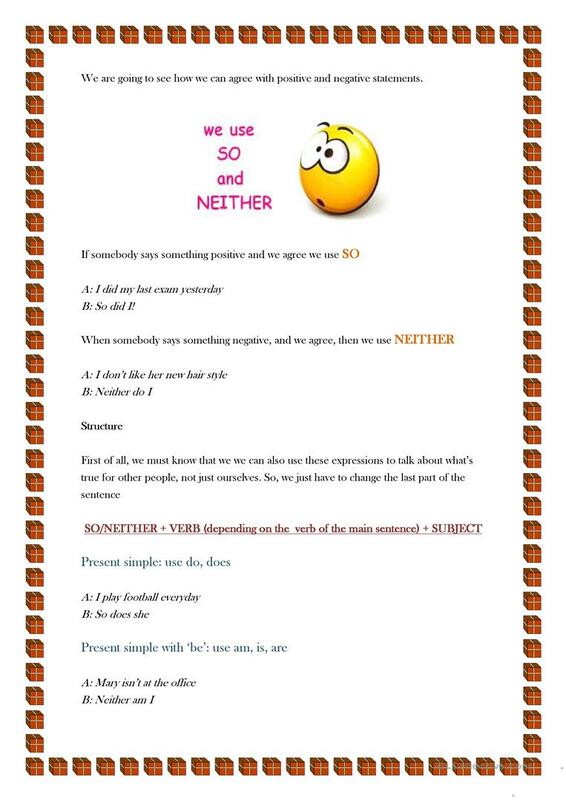 When and how do we use ´so´ and ´neither´? The present downloadable handout is intended for business/professional students, high school students and adults at Intermediate (B1) and Upper-intermediate (B2) level. 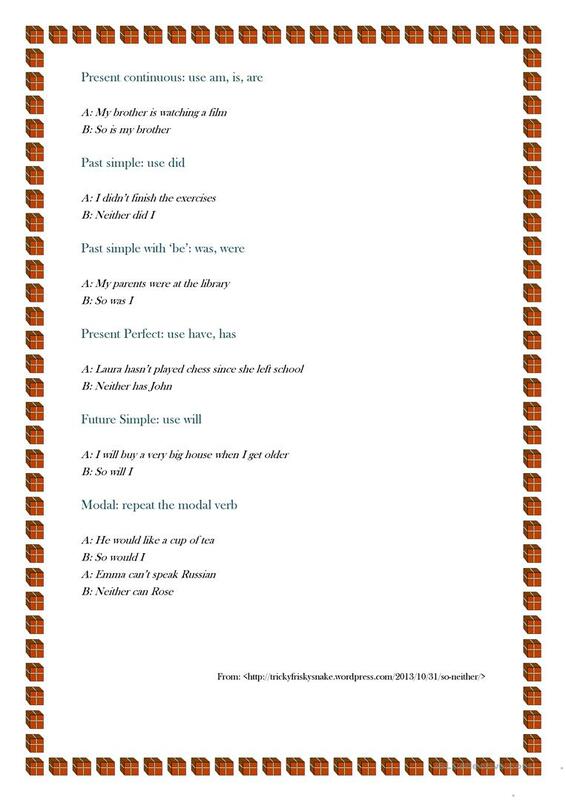 It is excellent for improving your students' Writing skills.